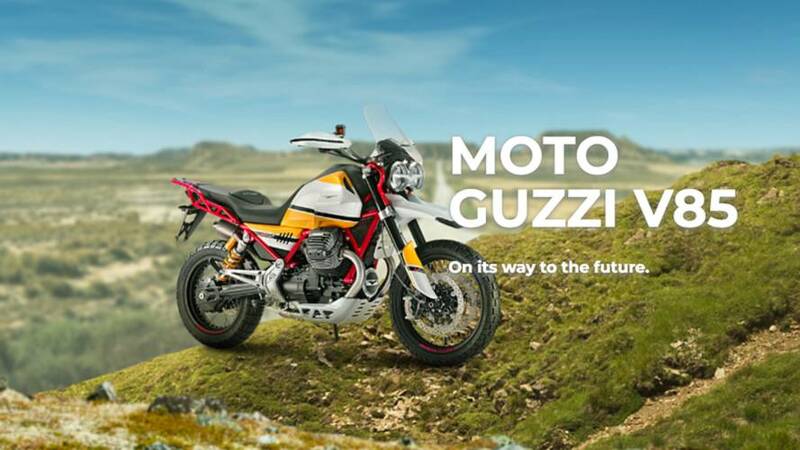 After introducing the V85 dual-sport concept at the 2017 Milan Motorcycle Show, Moto Guzzi didn’t waste any time turning the concept into reality. After introducing a dual-sport concept at the 2017 Milan Motorcycle Show, Moto Guzzi didn’t waste any time turning the concept into reality. 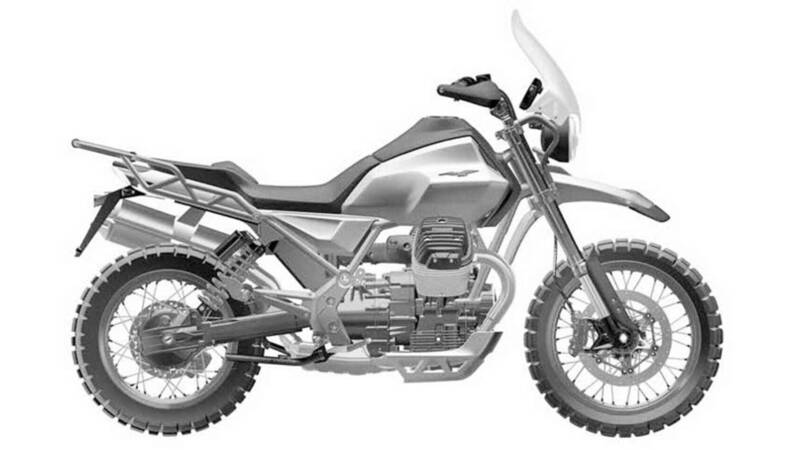 From recently uncovered patent drawings filed by parent company Piaggio and Guzzi's "Discoverv85" website, it looks like a production model of the V85 is coming soon, and that it'll look a whole lot like the 2017 concept bike. 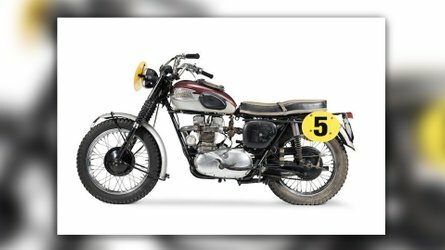 While what normally comes to mind when thinking about Moto Guzzi are the classic-looking models, this isn’t the maker’s first entry into the adventure motorcycles market. The Stelvio 1200 NTX, a standard-looking sport-touring model, was axed last year. This created an adventure bike-shaped hole in Guzzi's model lineup that desperately needed filling. That's where the V85 comes in. 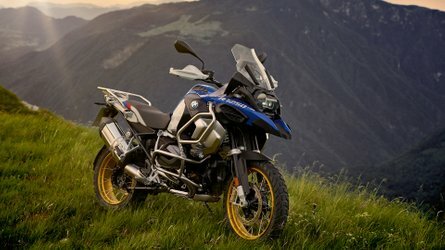 The new bike is gnarlier-looking than the Stelvio, reminiscent of Paris-Dakar competitors. 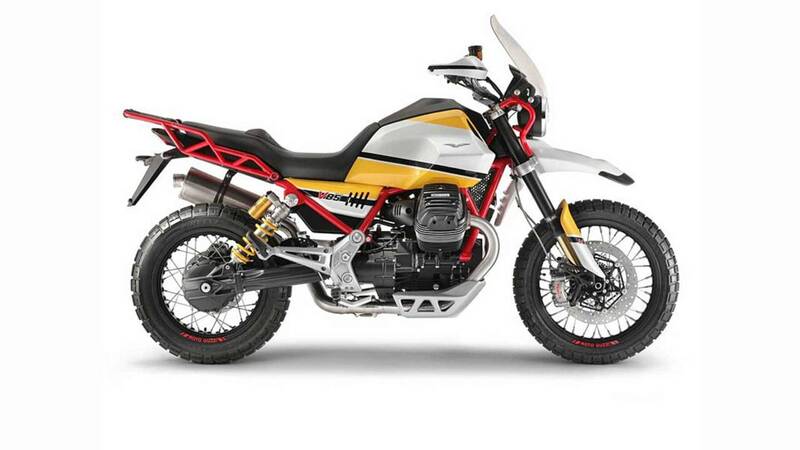 It's a style that Moto Guzzi calls Classic Enduro. The V85 concept as shown in 2017. The alleged V85 production model. 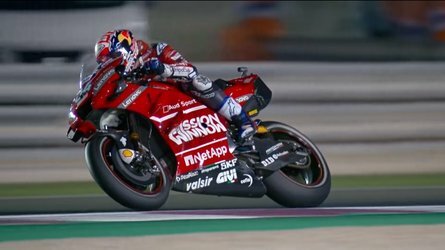 Notice the longer exhaust, different brakes, and tweaked bodywork. The frame is brand-new and uses steel tubes as well as the engine’s anchors to provide additional rigidity. 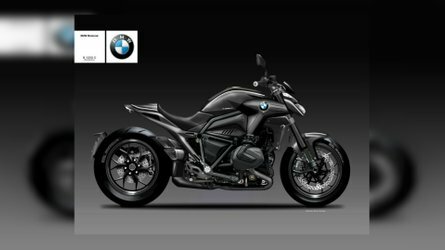 The power, if you hadn’t guessed already from the model’s name, will be provided by an 850cc 90-degree transversal v-twin engine rated at 80 hp. It will be fitted with DRL LED lights and digital instruments. There is no word when the V85 will be available and how much it will go for, sadly. Could this be the kick in the pants that Guzzi needs to rekindle the fire? We'll see. We'll let you know when we learn more.